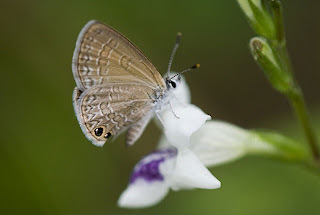 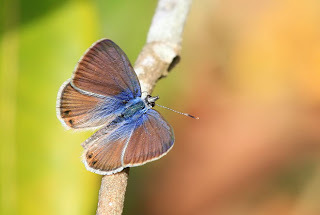 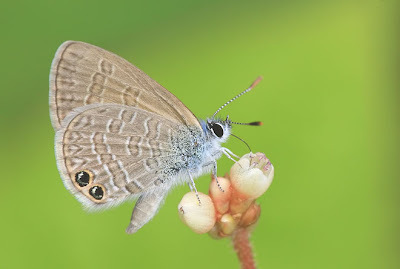 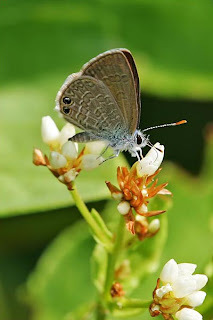 Butterflies of Singapore: A New Lycaenidae species for Singapore! 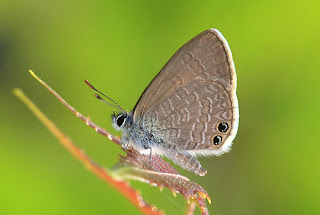 Really exciting frontier stuff, and thanks to the hard work of the people here we are able enjoy such discovery in the tiny urban island of Singpaore. 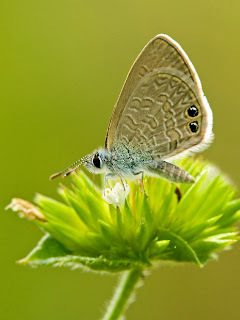 I am looking forward to the next new frontier. 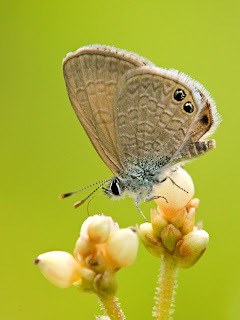 Cheers to you guys. 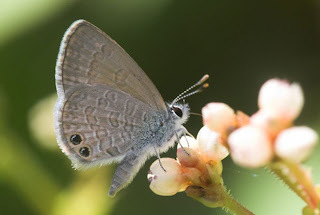 Yes, this certainly looks like our good friend biocellata (Latin for "two eyes")- very common here in Western Australia, and usually one of the first butterflies on the wing in Spring. 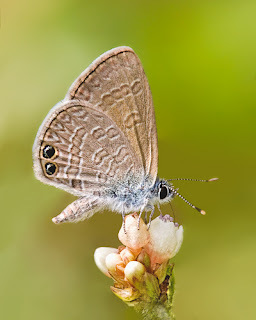 It's a co-operative little thing, quite tiny, and shows a distinctive brownish tinge on the underside of the forewing.